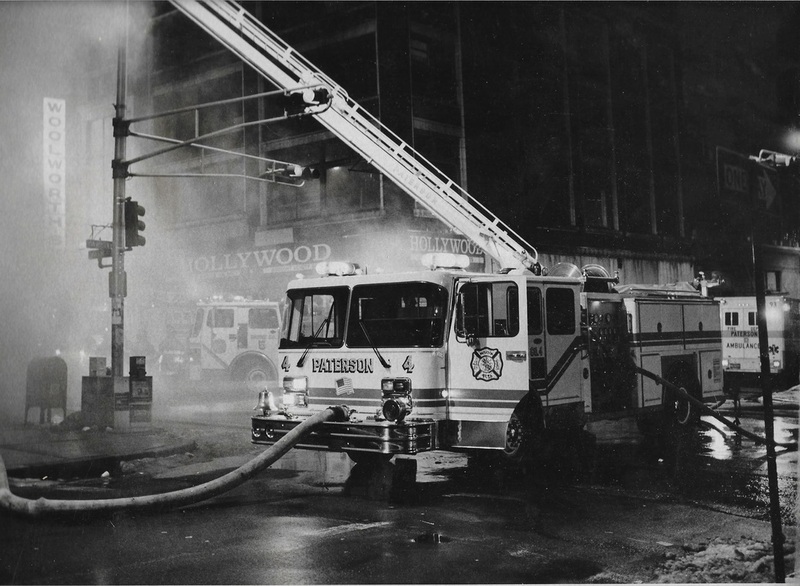 The Northside Firehouse at 48 Temple Street with three bays opened in January 1987. 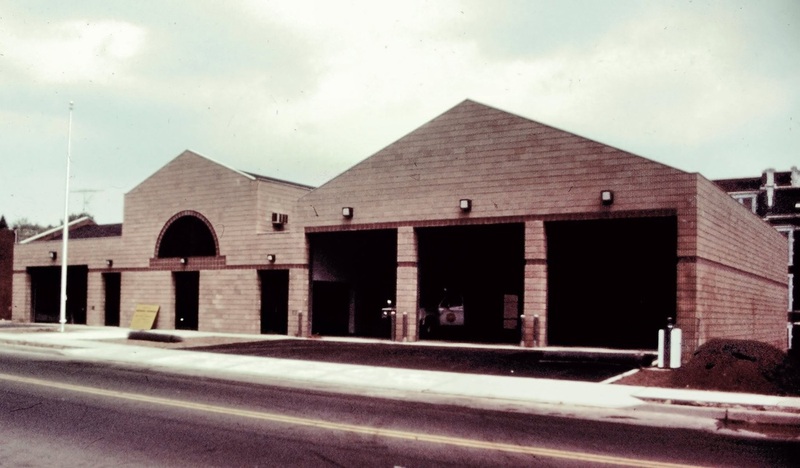 The Communications Division is located in the 2nd floor addition to the left which was added several years ago. 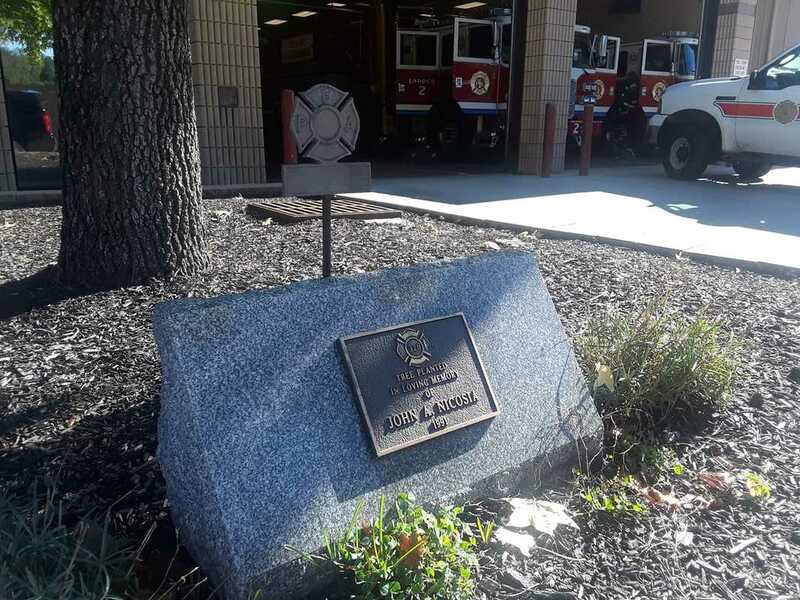 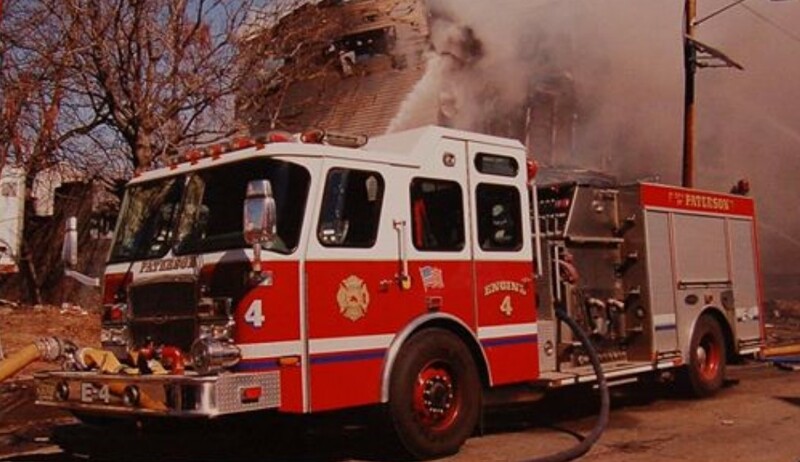 January 6, 1987: Engine 9 name changed to Engine 4 and transferred from 77 Highland Street to the Northside Firehouse at Temple Street. 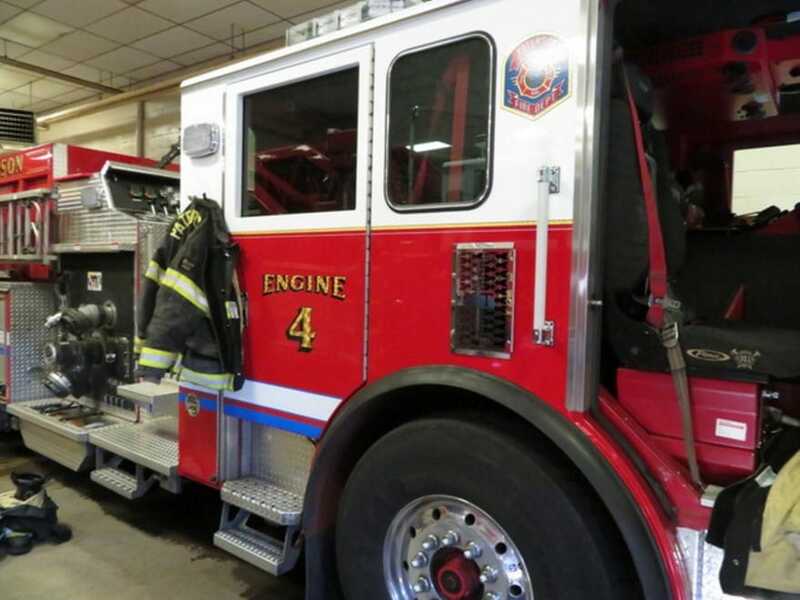 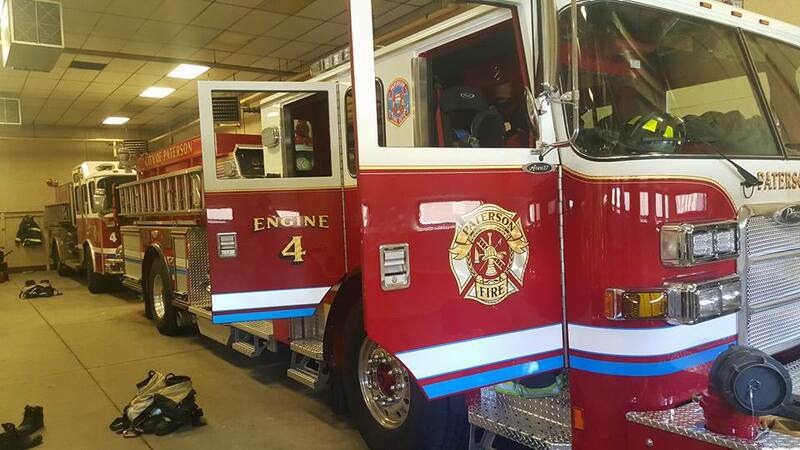 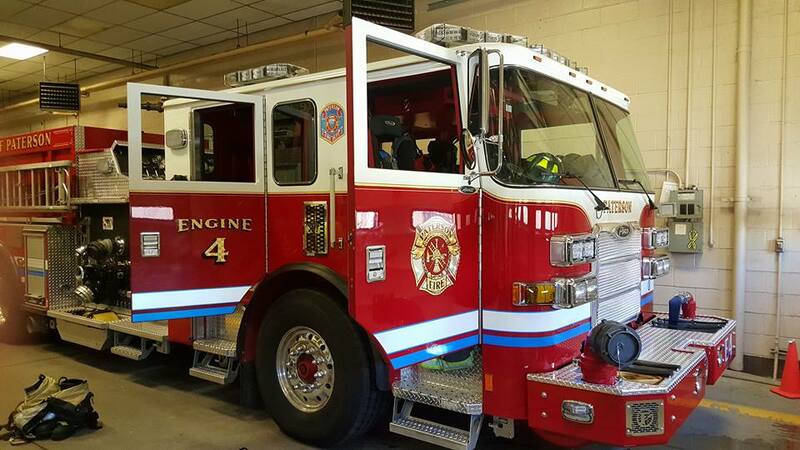 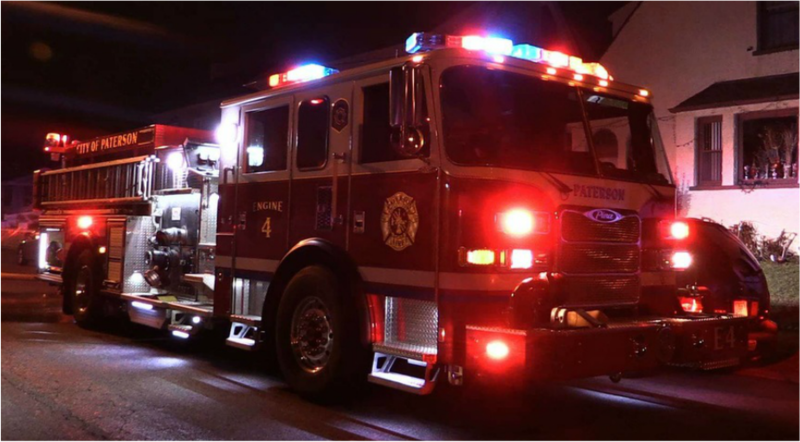 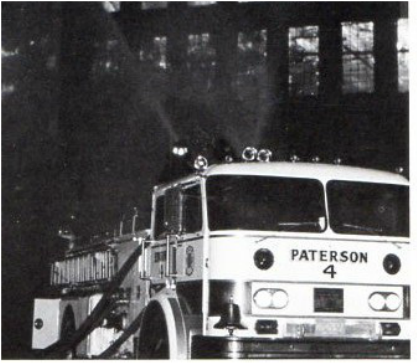 Engine 4 transiently used the 1969 Seagrave pumper (painted yellow) that was in service at Highland Street. 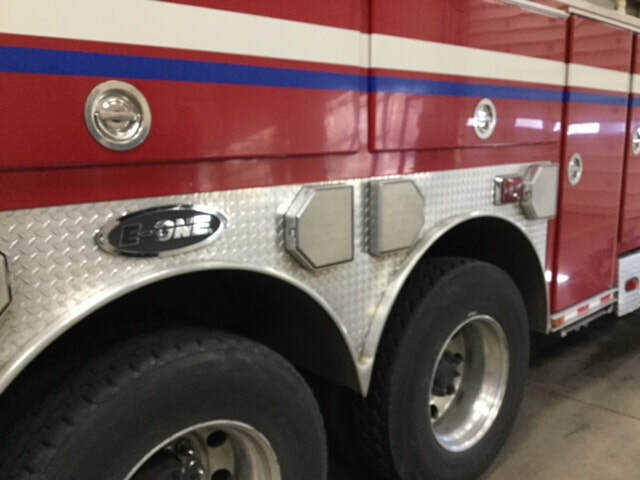 The letter "9" was tape, not painted. 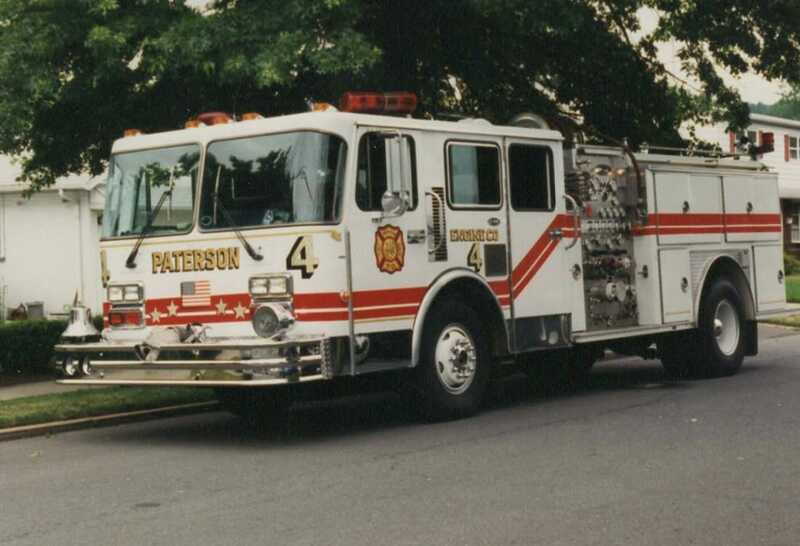 It was not changed to"4" at Northside. 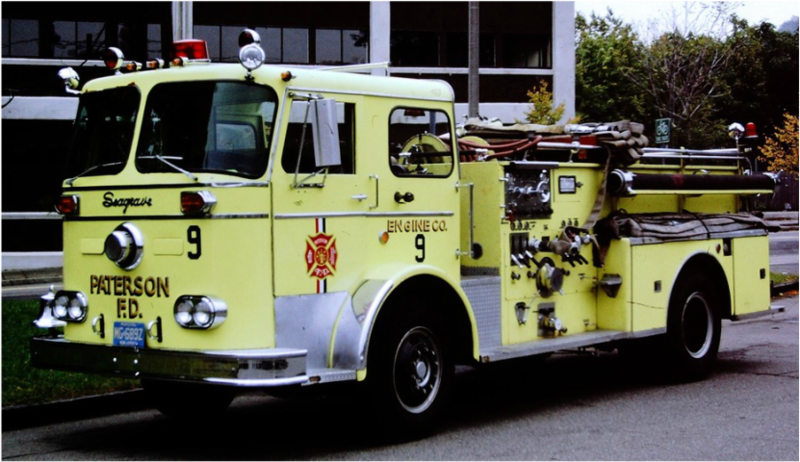 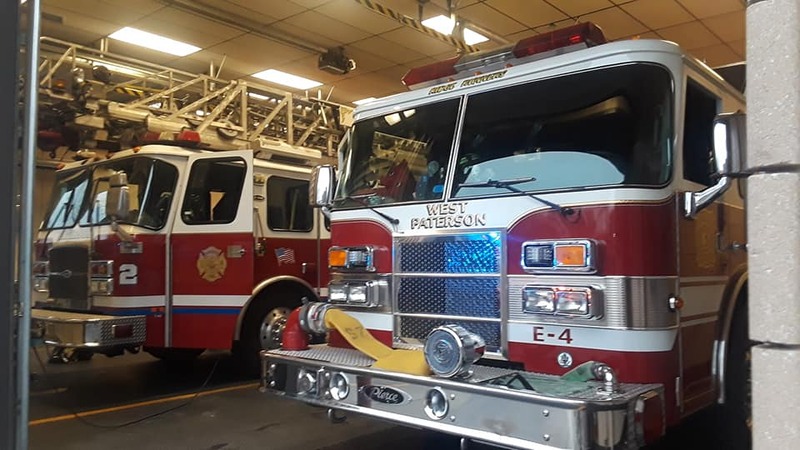 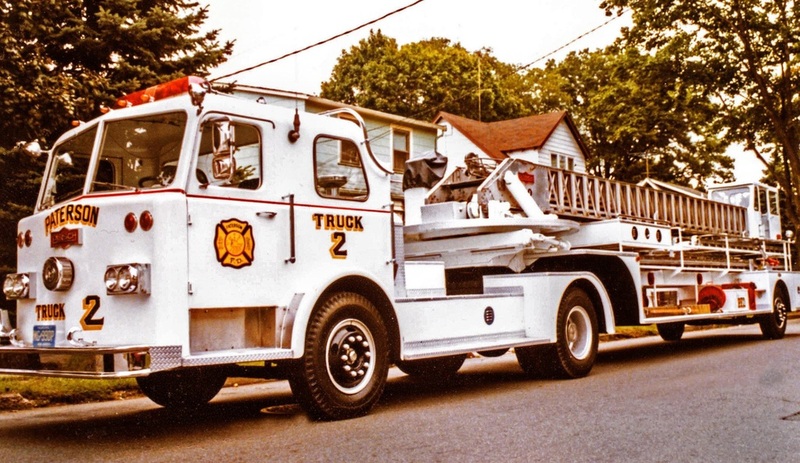 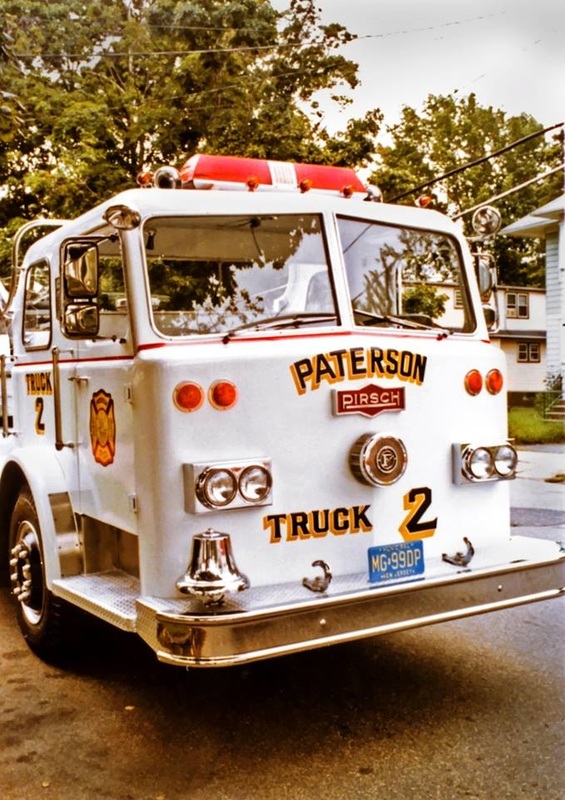 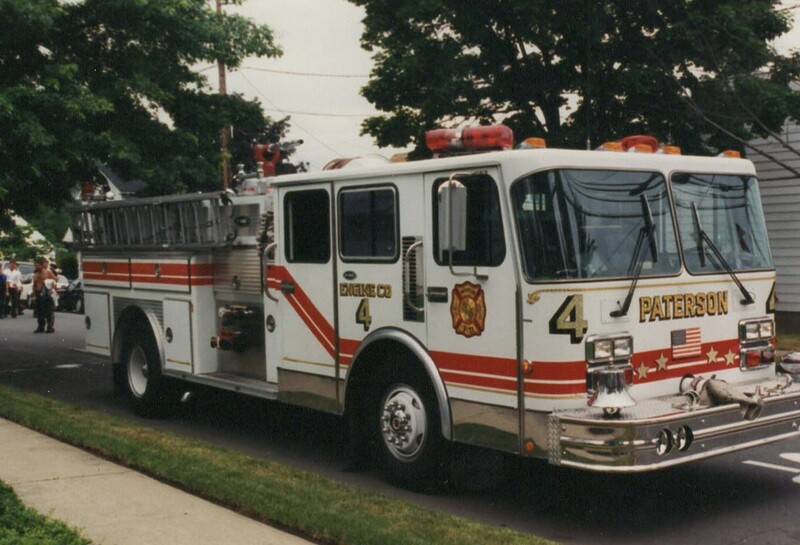 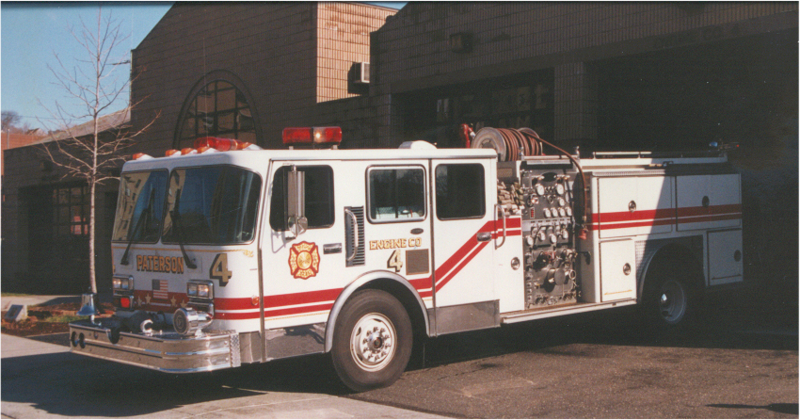 1987: Engine 4 subsequently used both a yellow 1975 Hahn (also labeled as E9) and then the 1971 white Hahn used by Engine 8 (before receiving the Emergency One pumper shown below). 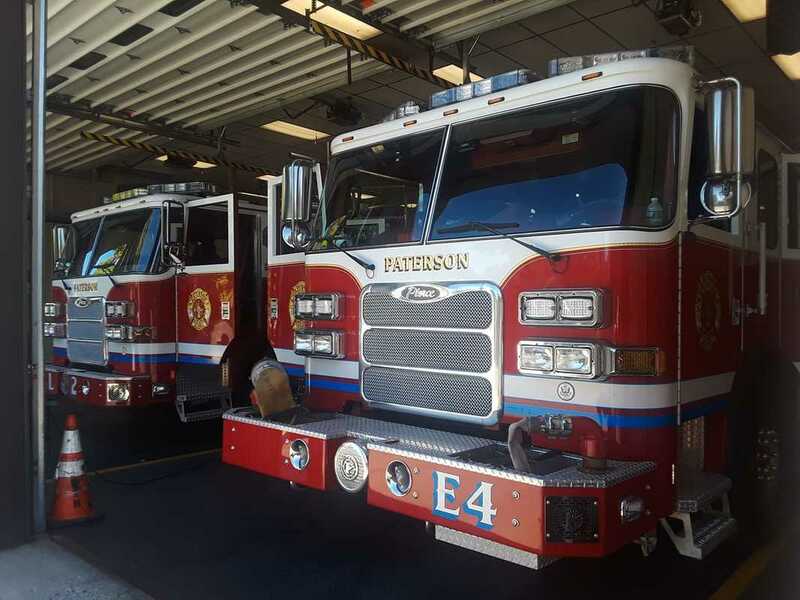 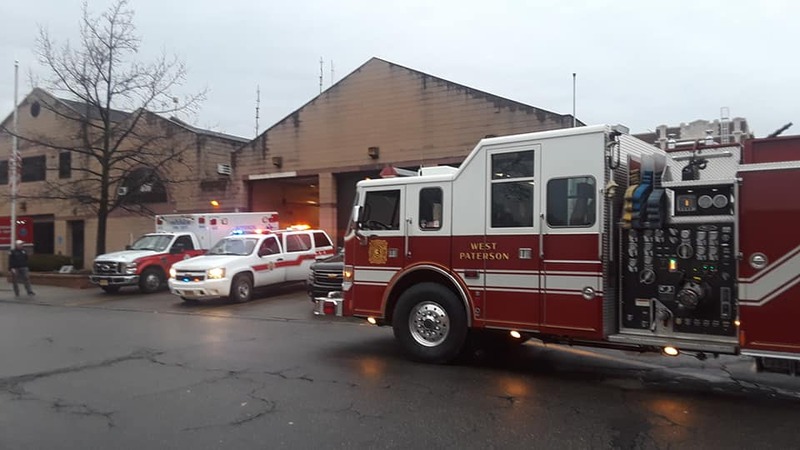 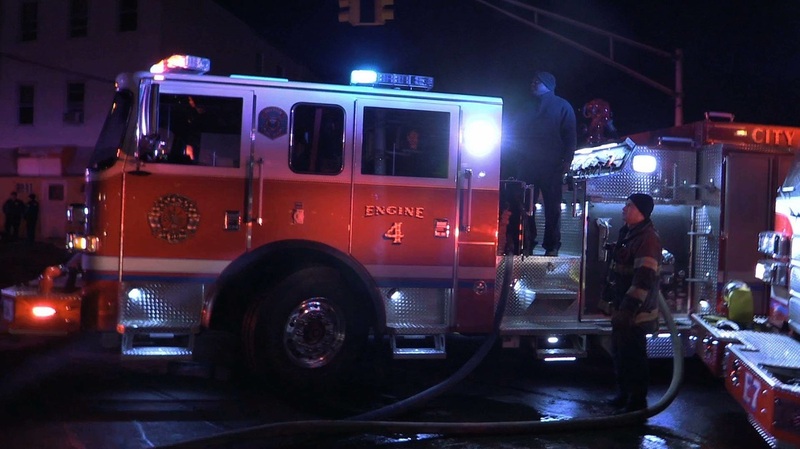 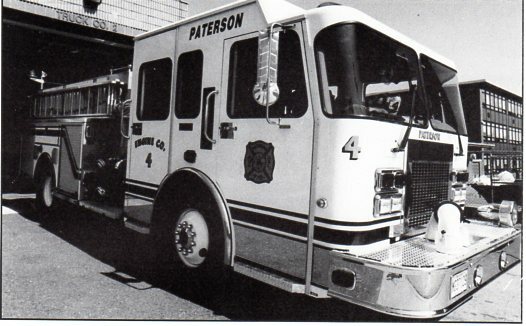 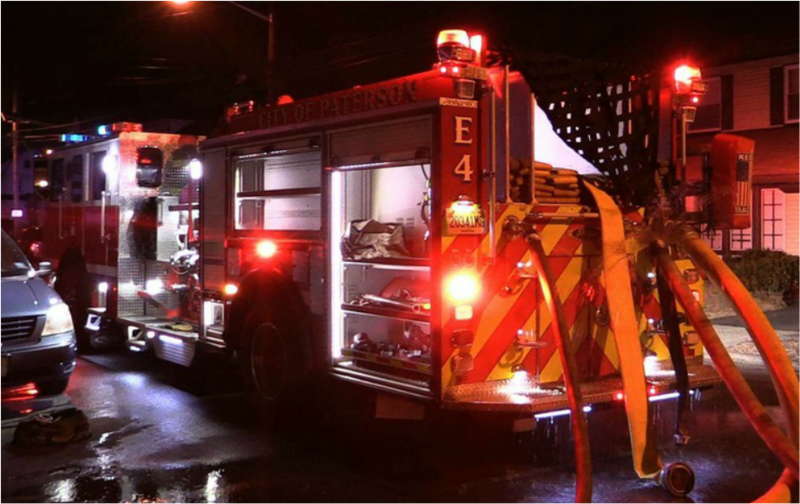 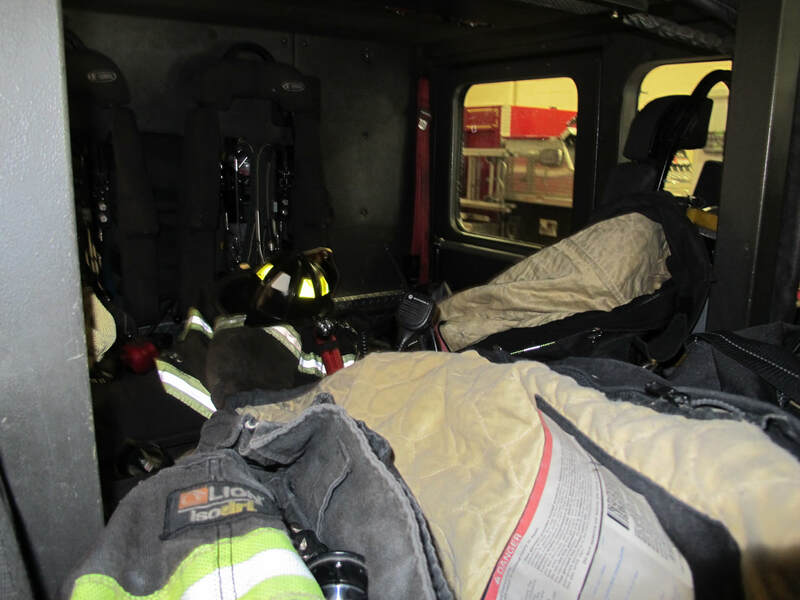 The 1971 white Hahn pumper was renumbered as 4 and is seen at right. 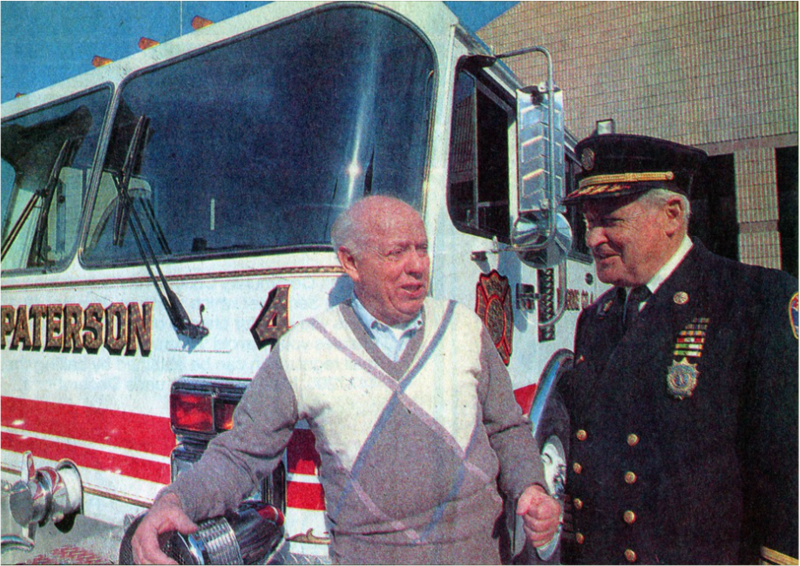 1987: Official Firehouse Dedication Ceremony: Mayor Frank X Graves and Chief William Comer. 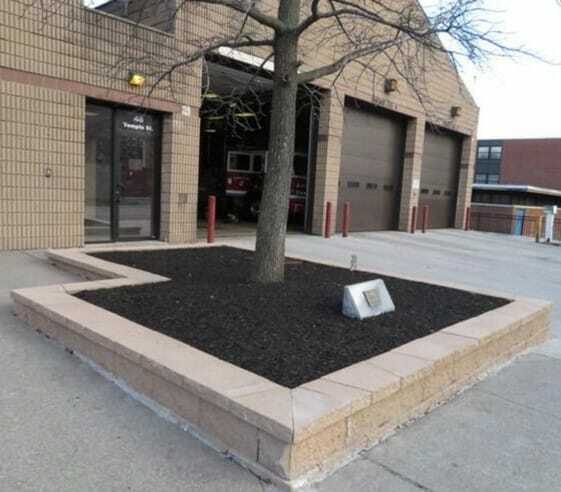 Cost of building was $824,000. 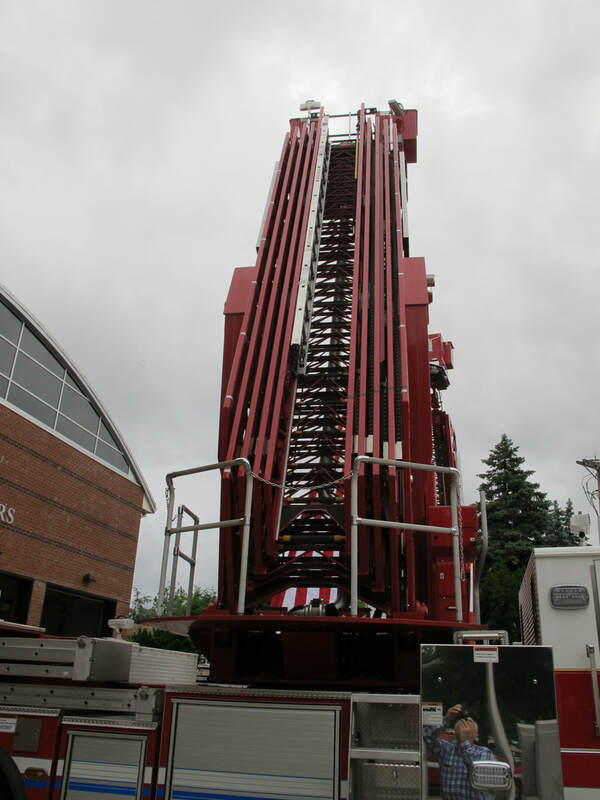 100 friends and visitors were on hand. 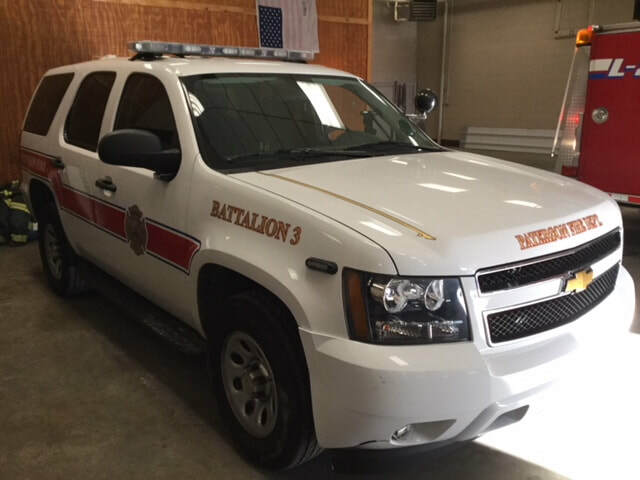 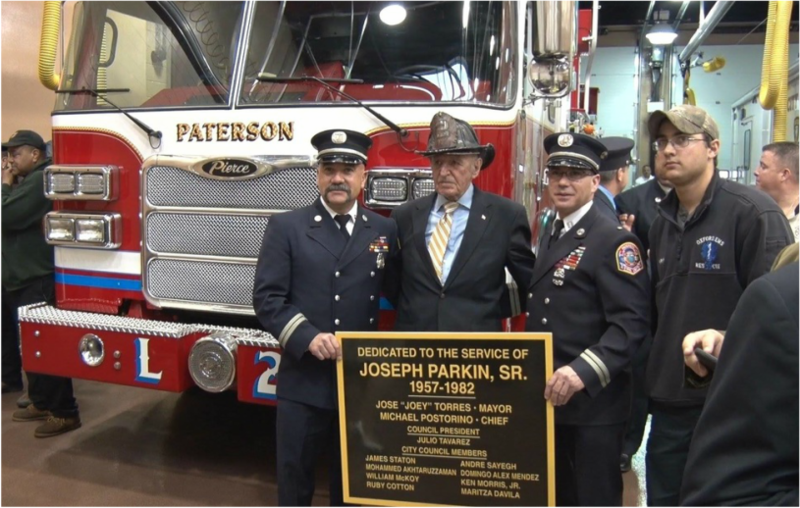 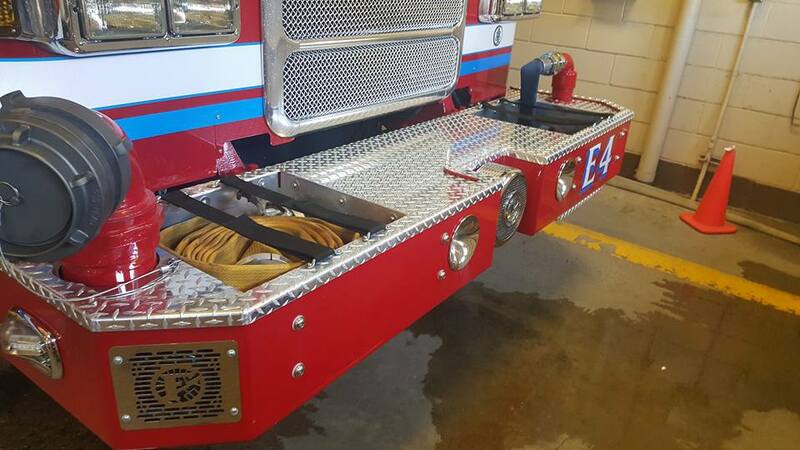 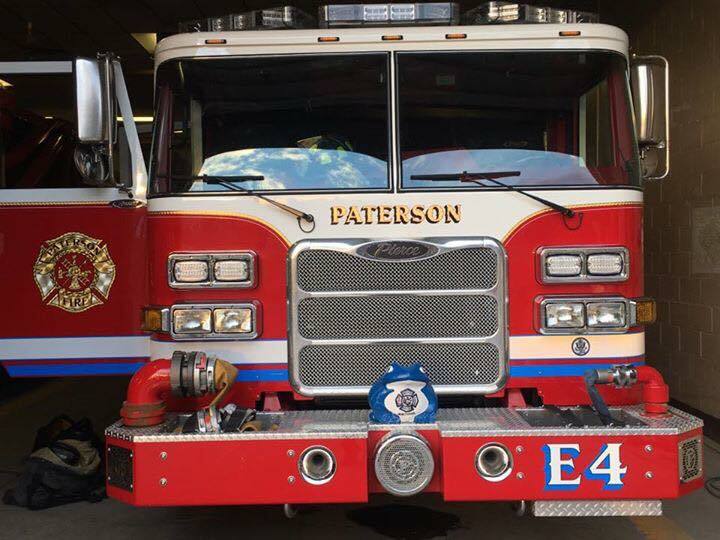 Two new E-One pumpers were dedicated, one to Chief Comer. 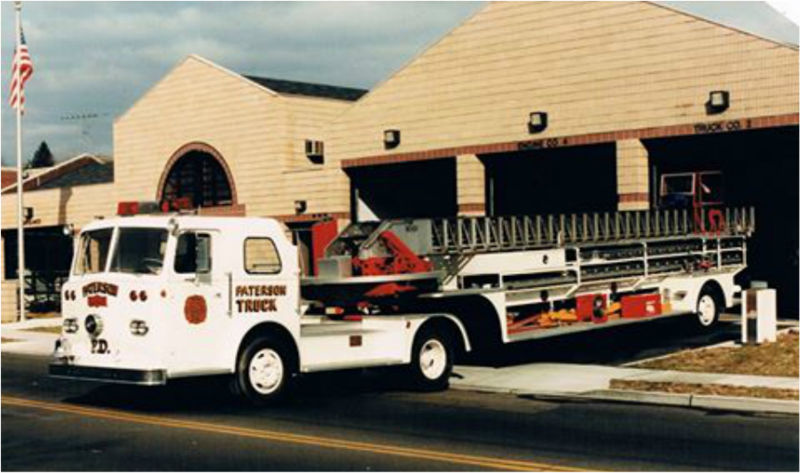 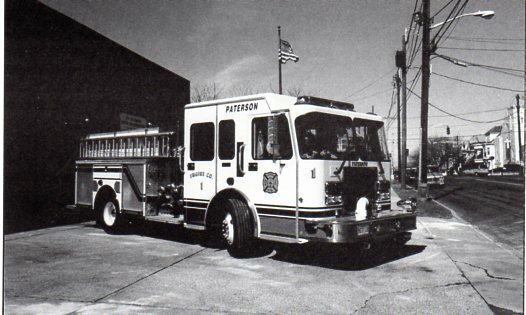 1987: Engine Company 4 receives an Emergency One 1500 GPM pumper seen below on the apron of Northside Firehouse and at a fire scene. 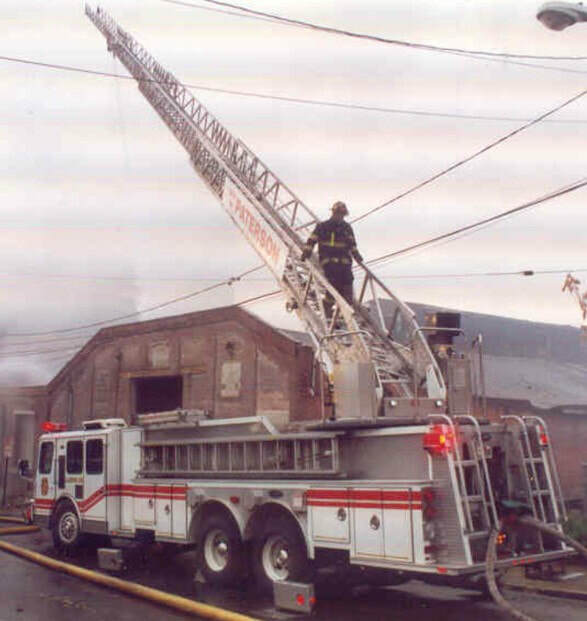 1989 Emergency One Hurricane rear mounted 100' aerial. 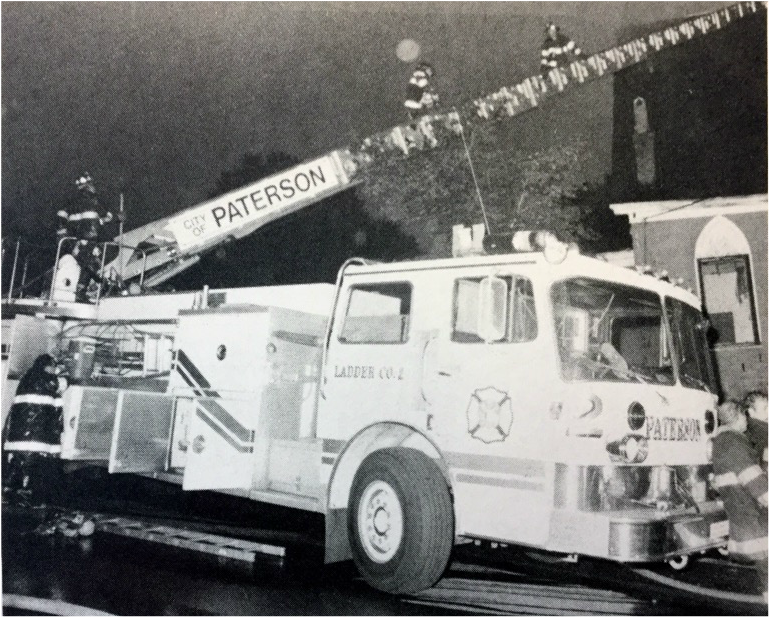 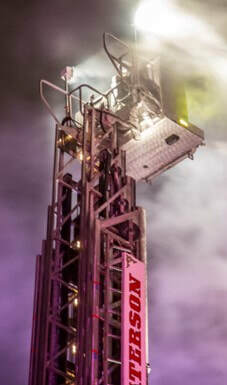 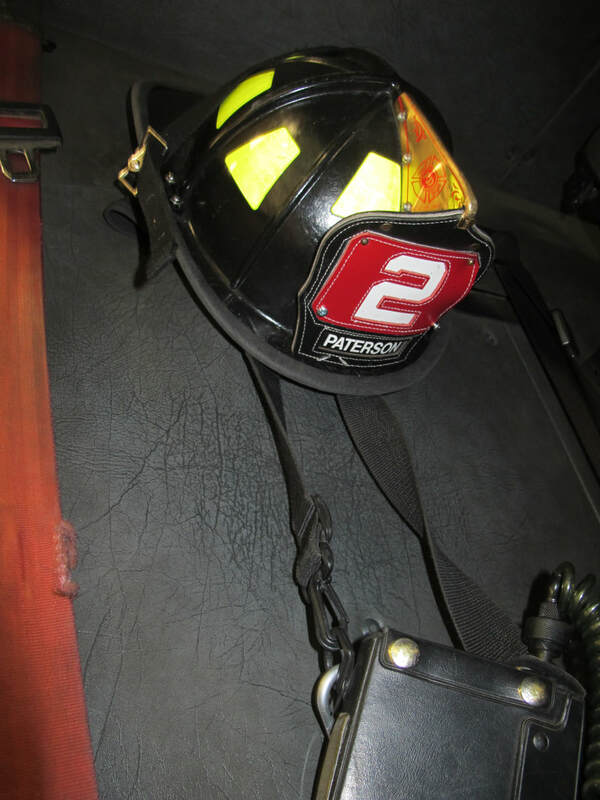 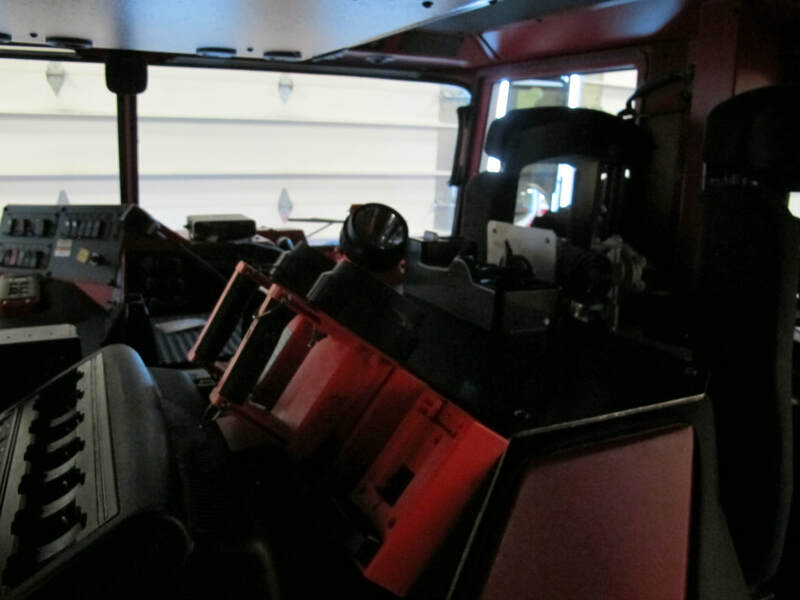 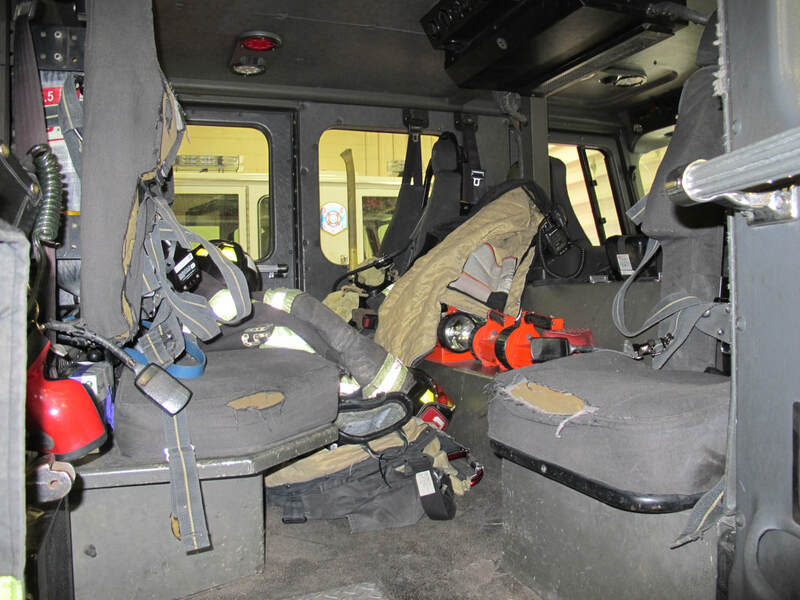 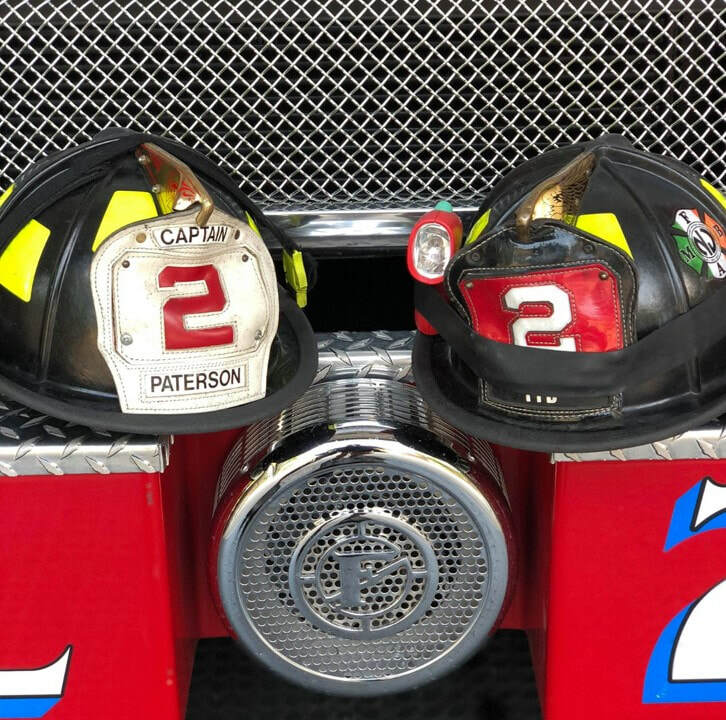 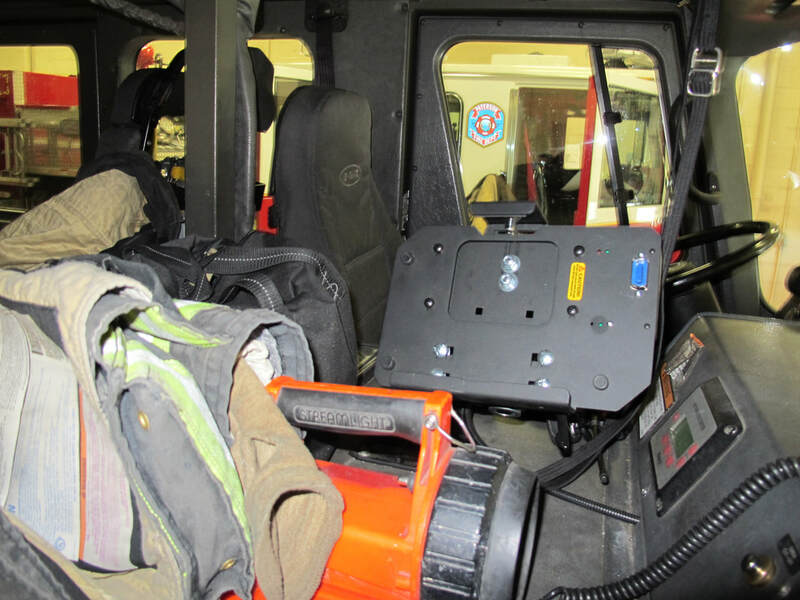 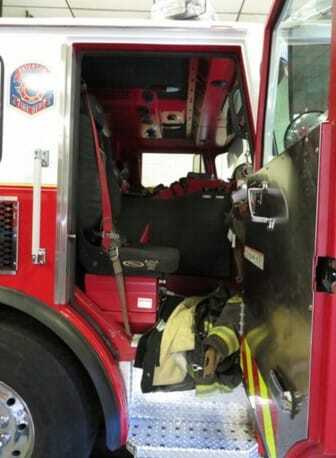 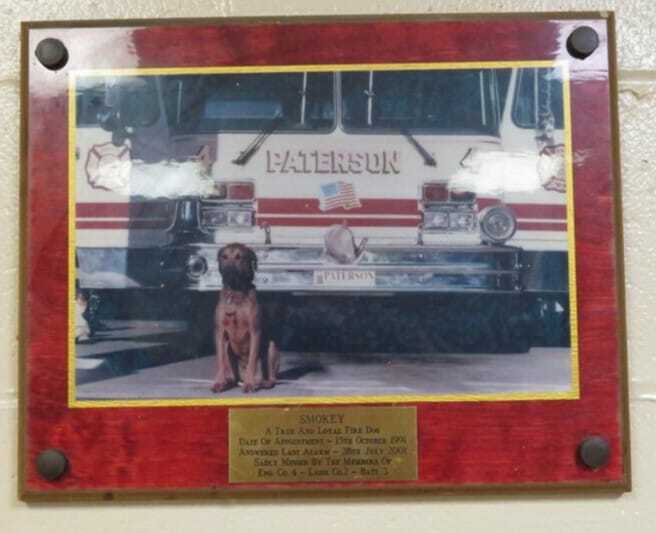 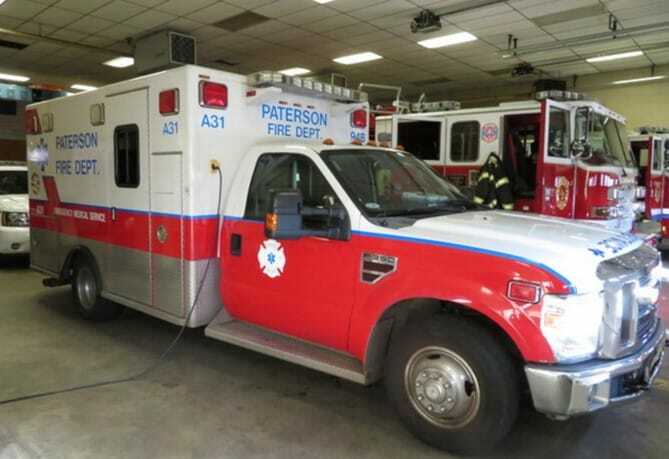 Originally used by Ladder One at Madison Avenue firehouse. 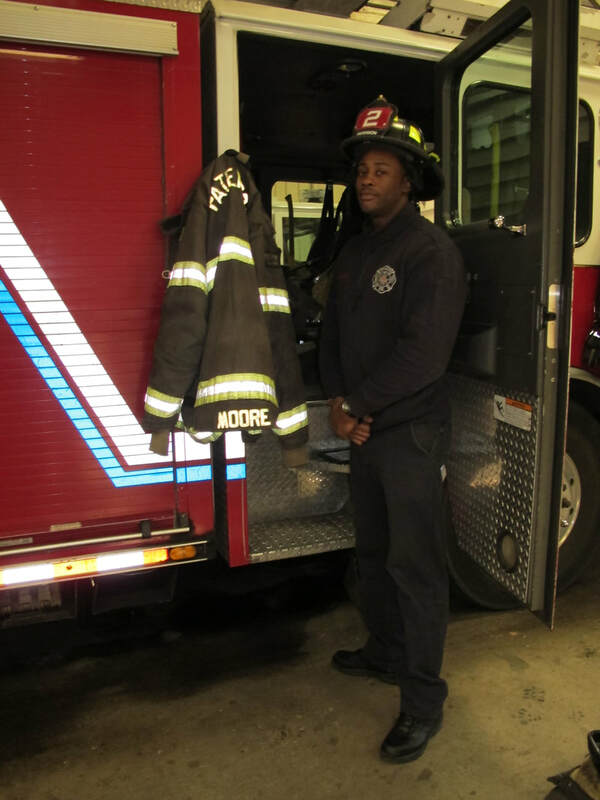 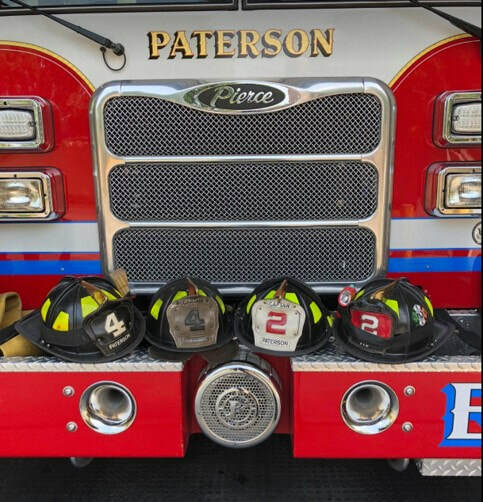 Northside FH Crew FF Tyrone Johnson, Captain Anthony Maldonado, Captain Brian Burns, FF Rocco Aliotta, Captain William Taylor, FF Glen Calamita, FF Sal Brigati, FF Thomas Hogan. 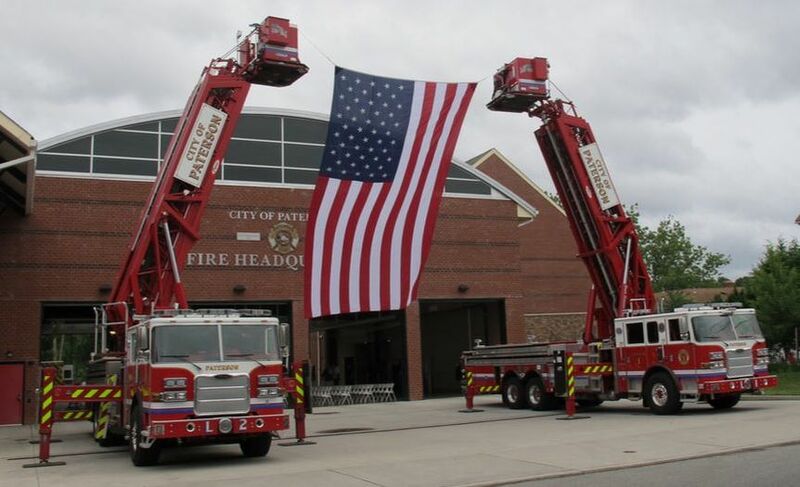 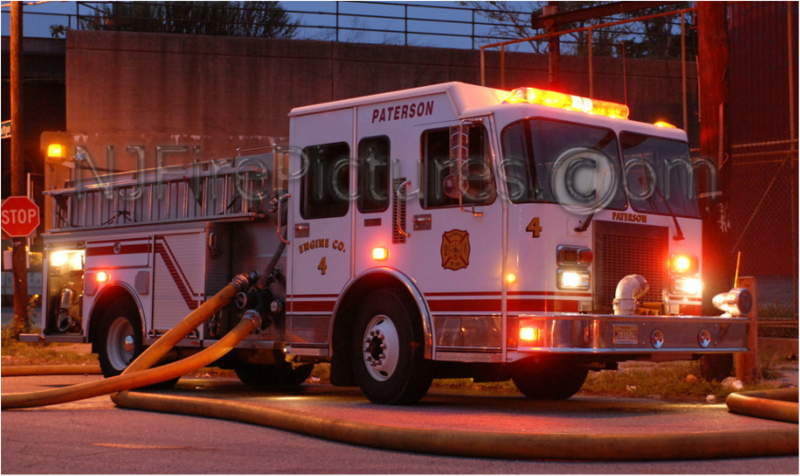 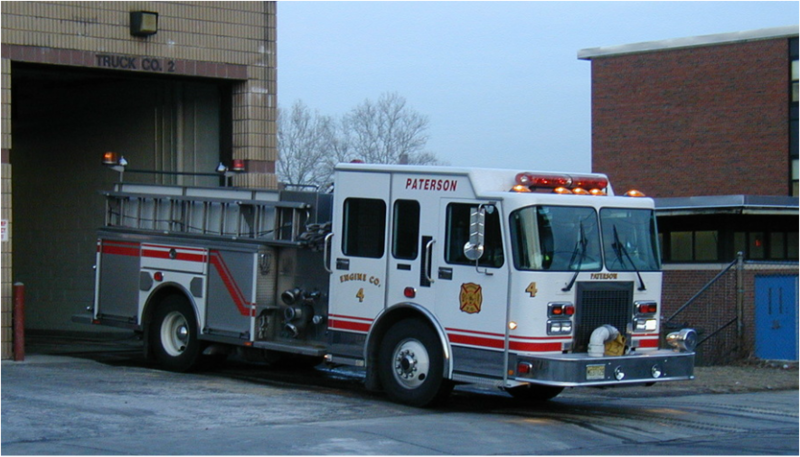 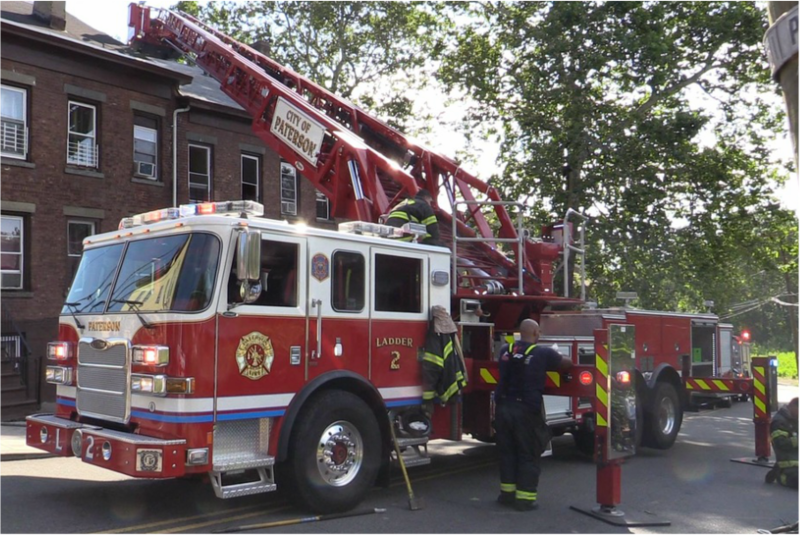 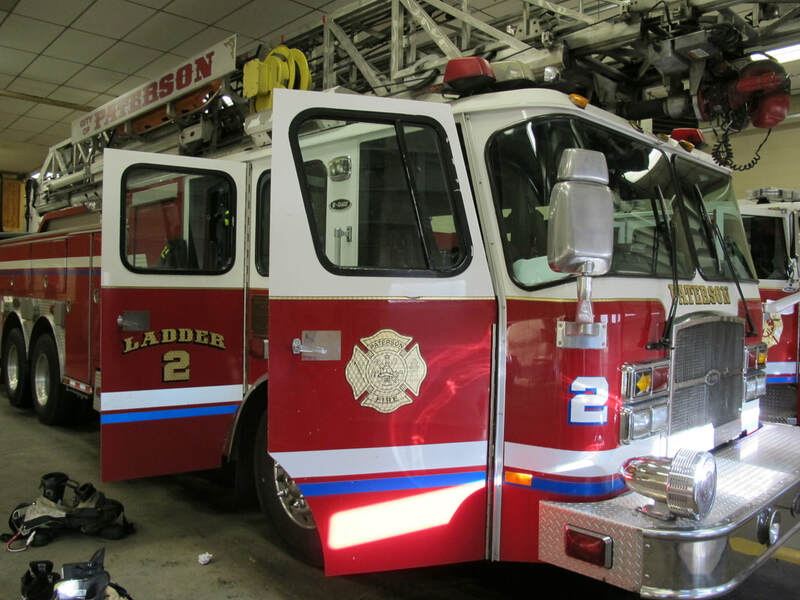 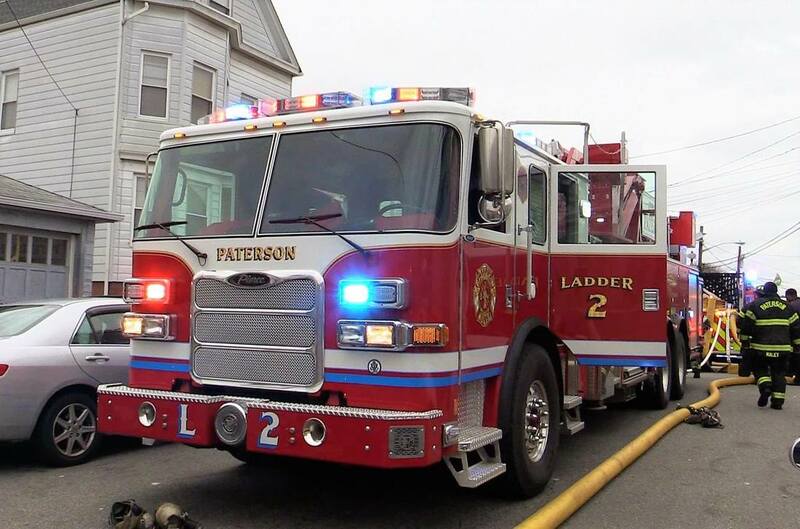 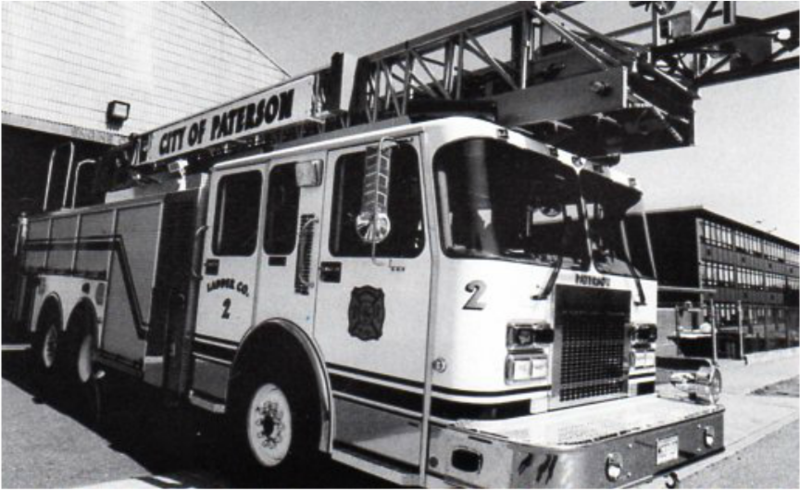 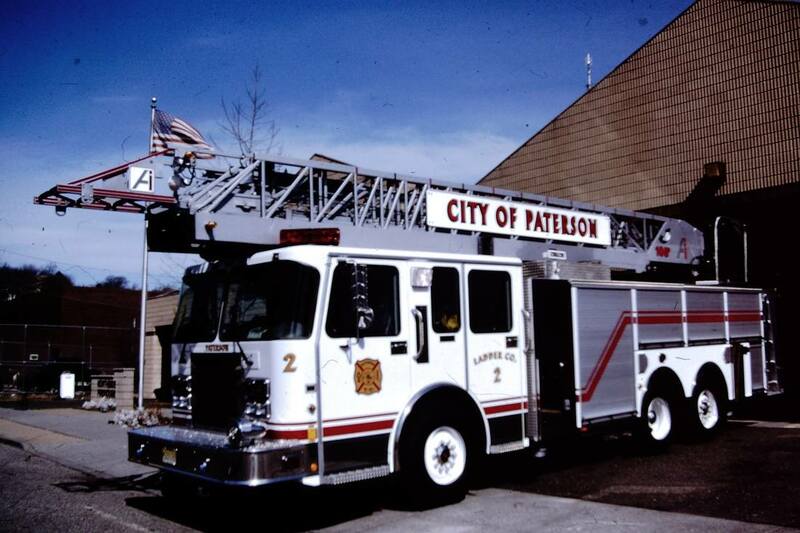 2004: Ladder 2 receives an E-One rear mounted 100' aerial. 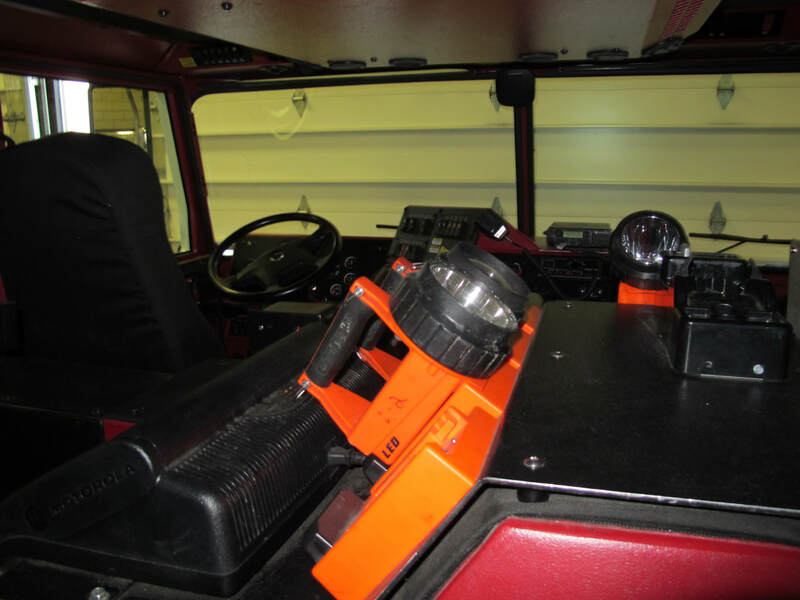 It was used on the TV Show Rescue Me. 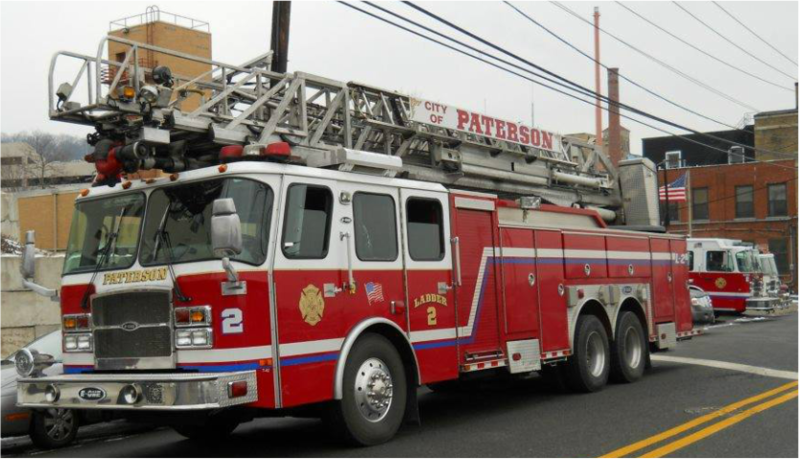 December 28, 2017: Engine 4 and Ladder 2 (using spare Ladder Truck: the 2004 E-One rear mounted 100' aerial. 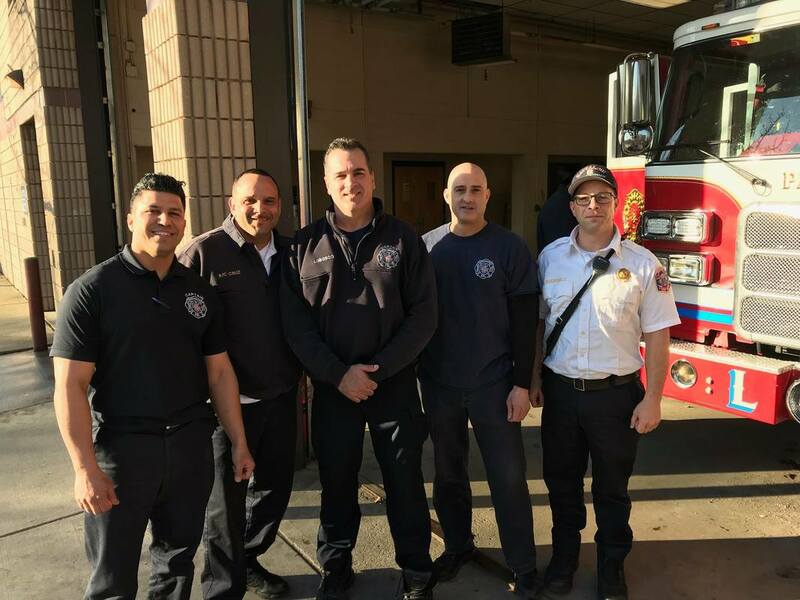 Tour 1 L-2: Front Row (L-R): FF A. Moore, FF L. Mantilla, FF Jesus Perez, FF Ray Dean, & Capt. 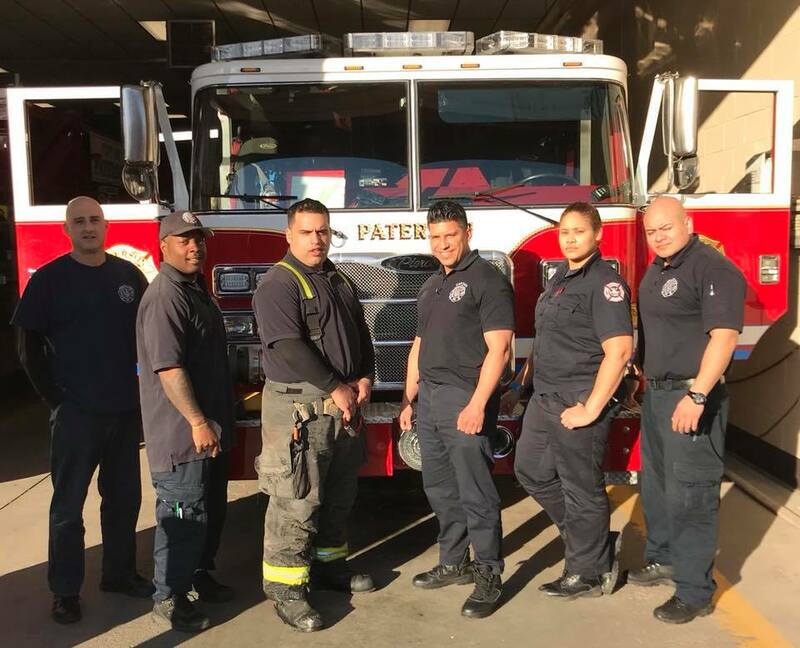 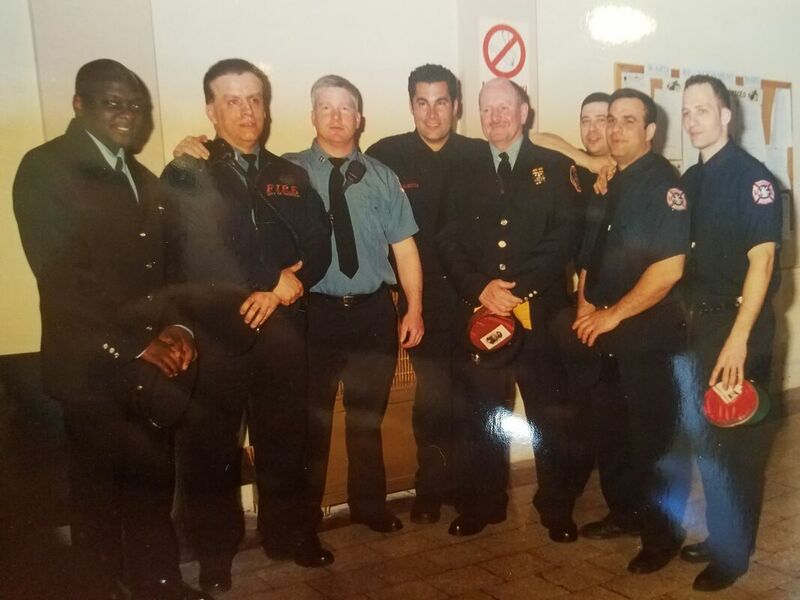 Pete Lobosco The 2 FFs in the back row (L-R) are FF Gons Rodriguez & FF Jacquay Williams. 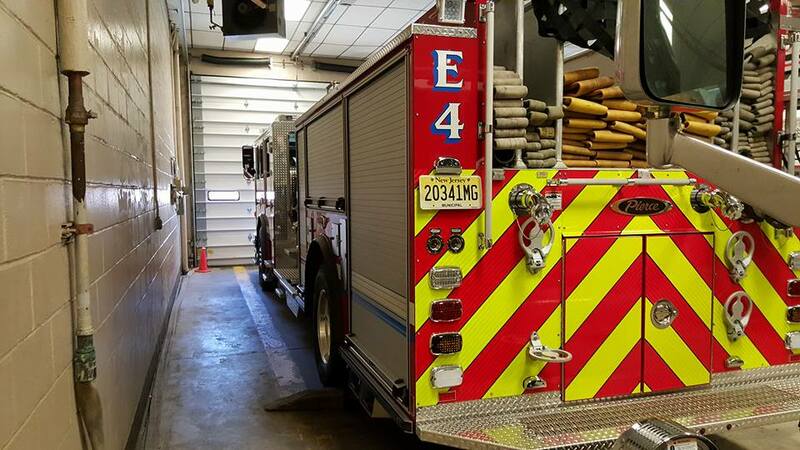 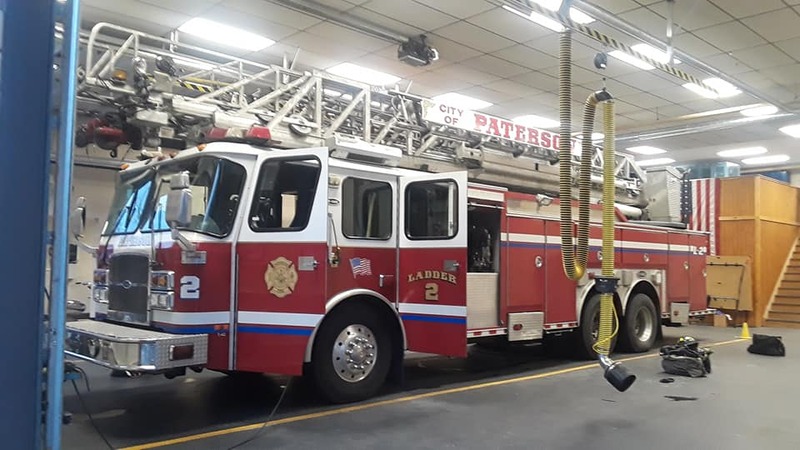 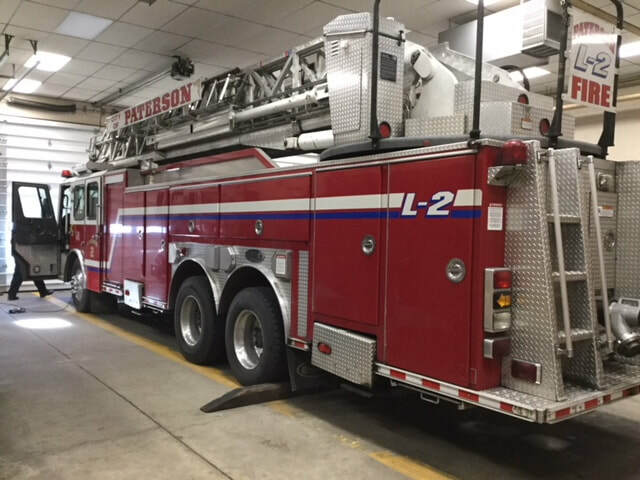 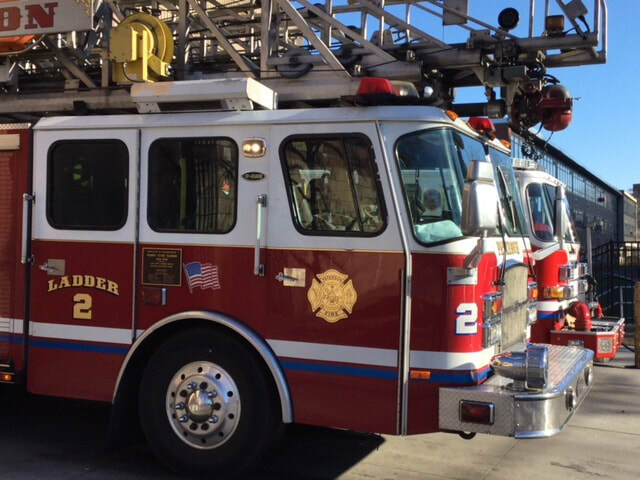 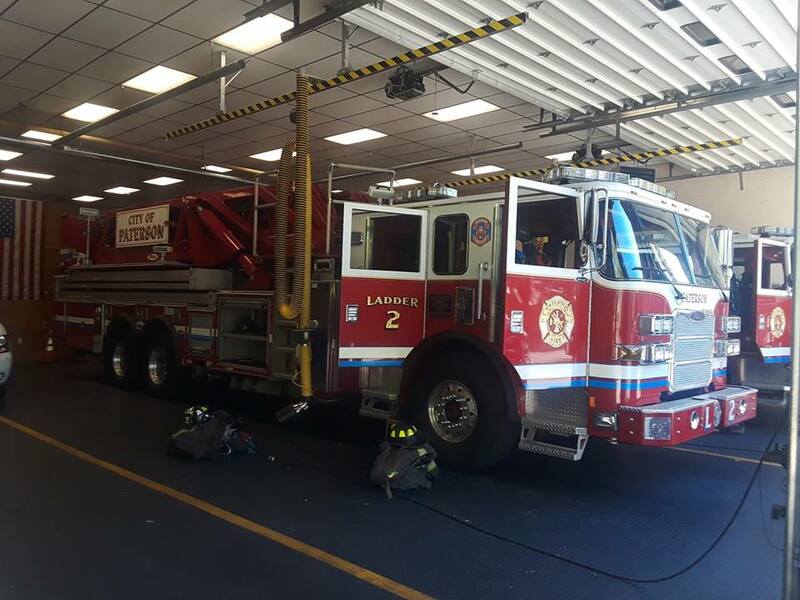 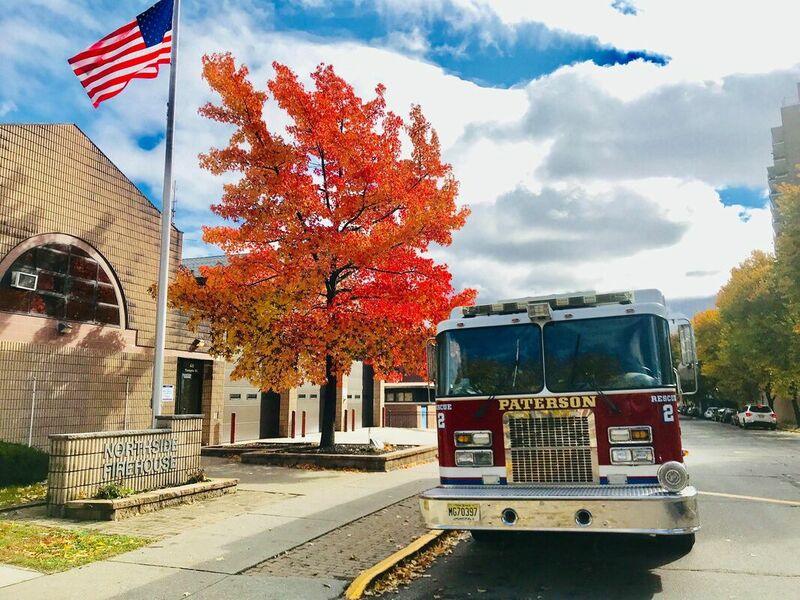 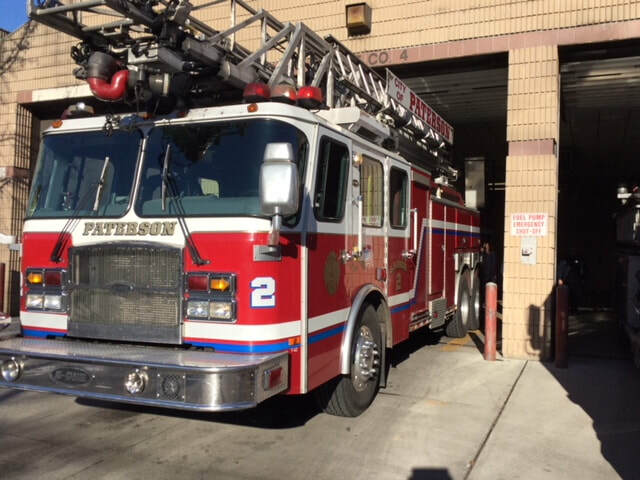 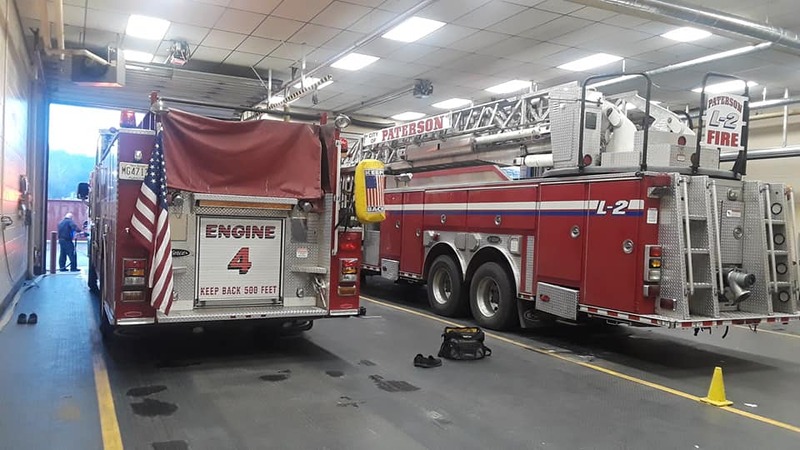 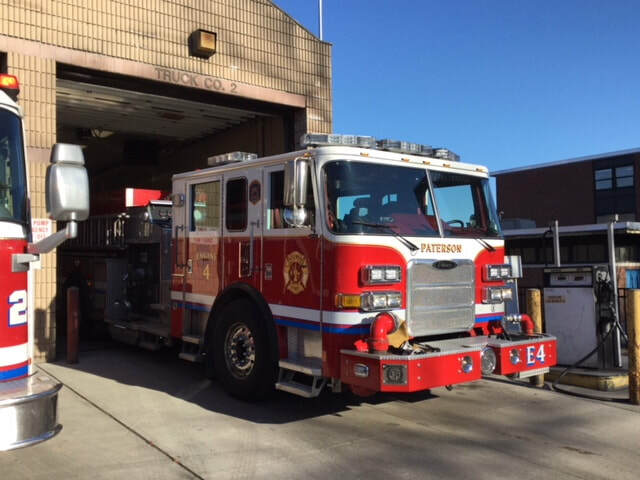 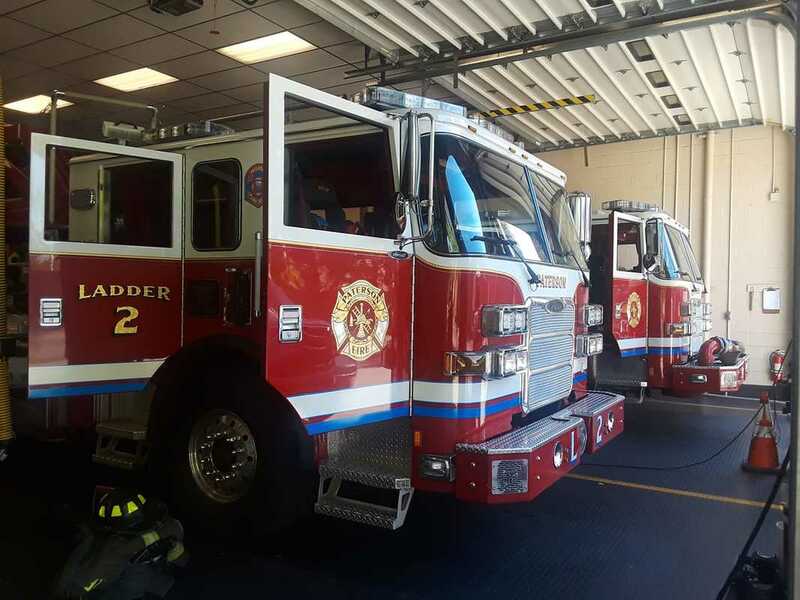 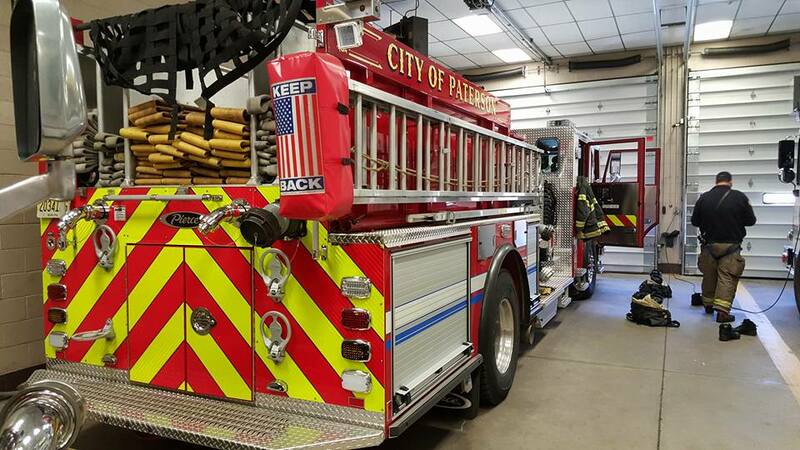 January 23, 2018: 2015 Ladder 2 (2015 Pierce Arrow) moves to Madison Avenue for maintenance. 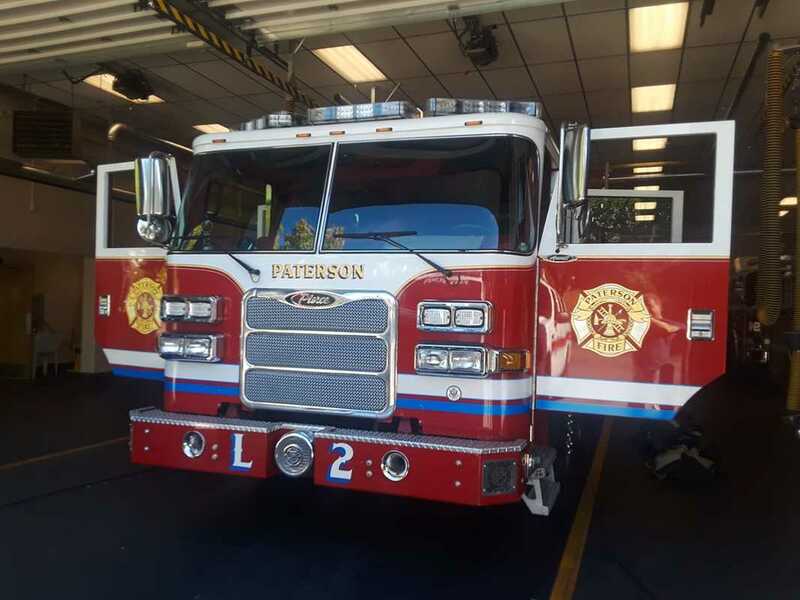 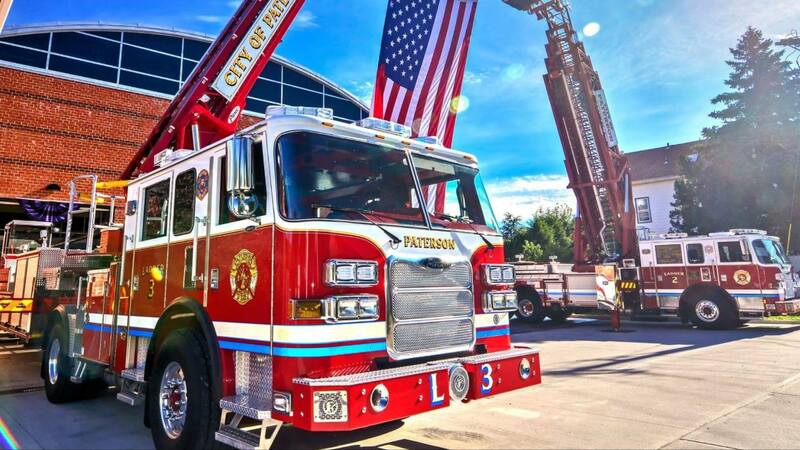 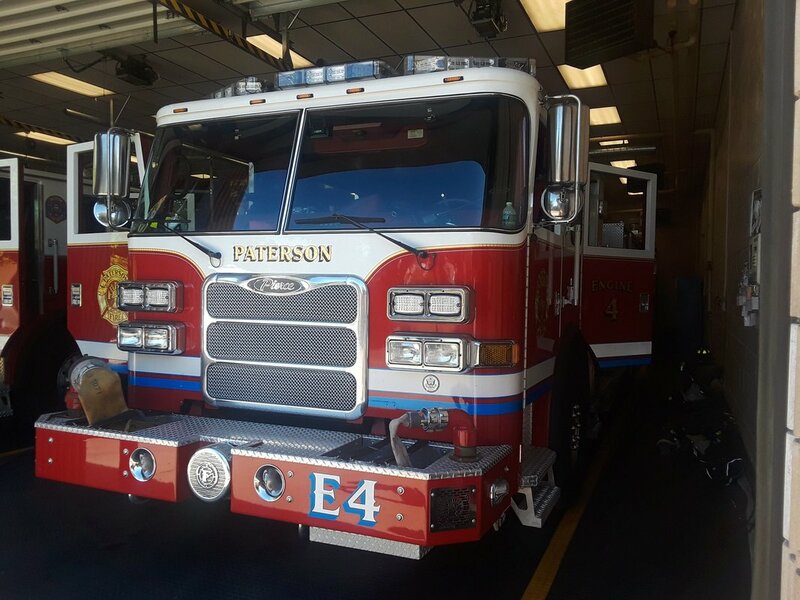 The new (2017 Pierce Arrow) operates at Northside as Ladder 2 (even though it retains the L1 markings).